The 2013 ACSR conference was held in Atlanta, Georgia, USA. 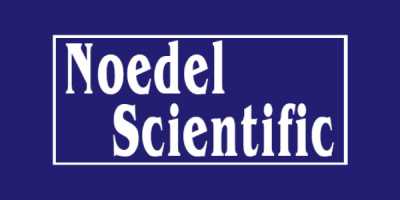 Ross M. Gardner, Bevel, Gardner & Associates, Inc.
Abstract: The legal profession is constantly seeking to challenge the foundations of science as well as the conclusions offered by science. These challenges come in the form of various legal opinions that specify the court’s expectations. These opinions include Kumo, Frye, Shreck, and Daubert. These reliability challenges are generally referred to as a “Daubert” challenge. The presentation offered the crime scene analyst with established ideas and concepts from the discipline that assist the analyst in surviving such challenges when encountered. The lecture included a discussion of the major legal opinions affecting expert opinion evidence, examination of the basic standards set forth by those opinions, and specifically how the CSR analyst can respond to such expectations addressing them with the theoretical aspects of crime scene reconstruction. 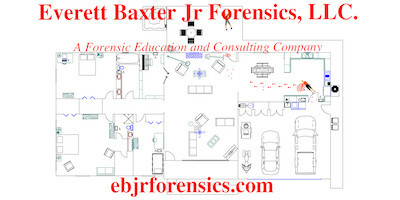 Celestina Rossi, Montgomery County Sheriff’s Office, Conroe, Texas, USA & Ross M. Gardner, Bevel, Gardner & Associates, Inc.
Abstract: Crime scene investigation demands a methodical approach that involves six basic activities: assessing, observing, documenting, searching, collecting, and analyzing. In terms of the observing and documenting phases, the alternate light source (ALS) is an indispensable tool for the crime scene investigator. This workshop reviewed utilization of the ALS, emphasizing through demonstration and hands-on activities how light technology aids the crime scene investigator. Attendees had the opportunity to put their hands on various ALS systems and photograph samples under an ALS. Abstract: The rapid adoption of laser scanning in accident and crime scene reconstruction has created a need for additional workflows in the generation of high quality deliverables to support the reconstruction efforts. We demonstrated the utilization of 3ds Max to import point clouds captured using the FARO Laser Scanning system, create a 3D environment using the point cloud as a guide, inserting characters and exporting to a real-time environment. The workflow contained therein was scanner independent. Session attendees gained exposure to the techniques used and participated in the data capture and alignment portion of the example as well as record measurements. Characters representing suspects were inserted as well as evidence placement. Learning objective #1: Scanning techniques for scene re-creation including proper scan coverage. Learning objective #2: Verification of scene measurements utilizing conventional, repeatable techniques. Michael Maloney, Bevel, Gardner & Associates, Inc.
demonstrated along with an innovative concept in “boxing”. Abstract: One specific topic of study that crime scene reconstructionists engaging in the reconstruction of firearms-related incidents should clearly understand is the nature and distribution of ejected cartridge case patterns left at a crime scene after the discharge of semi-automatic firearms. 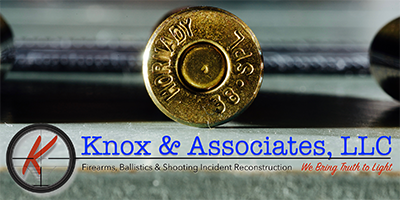 While studies have been conducted into the effects that firearm design, ammunition, grip, stance, and movement have on the distribution of ejected cartridge cases, few, if any, of these studies have involved any type of probability analysis or modelling. This presentation addressed the nature of analysis applicable to the distribution of ejected cartridge cases at a crime scene by specifically addressing mechanical issues related to the design and maintenance of the firearm itself, the flight characteristics of ejected cartridge cases, and the restitution of cartridge cases that collide with intermediary objects. The presentation provided a review of the current literature and addressed new areas of research and potential future research. Experimental results were presented and testing methodologies were discussed. Methods for simulating cartridge case ejection patterns based on testing data using Monte Carlo analysis were covered. Application of testing data and simulation to actual casework was demonstrated through the development of probability density models. Abstract: What happens when a community demands justice for the death of the town “Angel” who just happens to be the longtime mistress of an elected official? And, what happens to the community when the court case ends in a mistrial? This presentation looked at the crime scene photos, the toxicology of the decedent, the research of similar death investigations, and the crime scene reconstruction in a quest to answer the question: was this death a murder or a suicide? Abstract: How did you enter and move about your last indoor crime scene? You walked on a surface; the same as the attacker(s) did. Footwear evidence is often overlooked or compromised before this evidence type is processed for collection, especially those impressions made in or from dust. 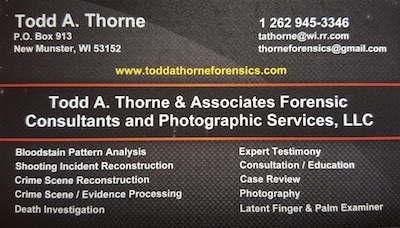 There are tools and techniques available that aid the personnel who are tasked with processing the crime scene in the preservation and collection of dust impression evidence. Attendees at this hands-on workshop were able to use and compare several different methods and equipment available for the collection and partial preservation of impression evidence made in dust on a variety of surfaces. Research studies covering particular collection and preservation techniques were also shared. Workshop participants learned: how to work with several different dust print lifting equipment and products, collection of dust impressions from different surfaces, how to “clean” an area to collect the best impression possible, collection considerations for dry and wet media dust impressions, and photography considerations and methods before and after impression collection. Abstract: In his landmark text, Crime Investigation, Paul Kirk wrote: “All criminal investigation is concerned with people and with things. Only people commit crimes, but they invariably do so through the medium of things.” Kirk understood that there is a human element inherent to the reconstruction of any criminal event. Without a human involved, there would be no crime. 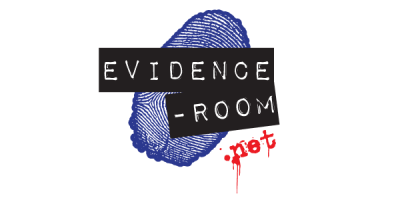 So much of the study and research surrounding the field of crime scene reconstruction focuses on the things, the evidence that tells us what we need to know about how a crime was committed. But, it is equally important for the crime scene reconstructionist to consider the human factors issues that necessarily affect how the crime was carried out. This workshop session will introduce the crime scene reconstructionist to various human factors issues related to crime scene reconstruction. These human factors issues will include: lighting, visibility, and conspicuity; visual systems and threat recognition; perception-reaction time; perceptual distortions; probabilistic anthropometry; and biomechanical modelling. The basic concepts were introduced, and specific tools and methods for applying such knowledge to the reconstruction of crime scenes were covered. Abstract: This provided a hands-on opportunity for attendees to apply the concepts discussed during Maloney’s lecture on documenting shooting scene trajectories. The workshop emphasized the techniques of painting with light to capture bullet trajectories that have been demarcated by laser. Multiple trajectories, scene illumination, and enclosed versus open spaces were utilized. Abstract: The National Institute of Standards and Technology (NIST) has developed a large number of reference documents, tools, and physical standards that support the forensic science practitioner. 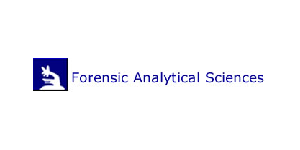 The Forensic Science Program (FSP) at the Law Enforcement Standards Office (OLES) within NIST conducts and coordinates research and provides technical services to address the needs of the forensic science community. 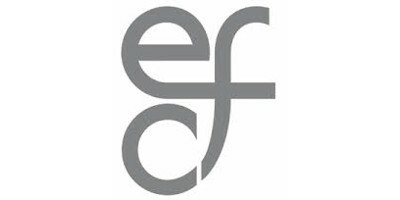 The FSP focuses on creating new material standards, initiating metrology research, evaluating technologies, and establishing expert working groups to facilitate knowledge exchange and identify best practices. These activities have been used to support forensic science disciplines such as: arson; digital and multimedia forensics; DNA; fingerprints; firearms and toolmarks; odontology; controlled and dangerous substances; and toxicology and trace analysis. Topics that were covered during this lecture include: federal collaborative efforts to update the NIJ Crime Scene Guide published in 2000, Expert Working Group on the Preservation of Biological Evidence, photo scales and forensic photogrammetry, Expert Working Group on Human Factors in Latent Print Analysis, personnel selection tool for latent prints, 3D topography correlations of bullets and casings, NIST OLES’s research on the scientific working groups, and upcoming publications.